South Korea's National Assembly Speaker Moon Hee-sang and U.S. Deputy Secretary of State John Sullivan pledged to maintain close coordination in their efforts to ensure the final, fully verified denuclearization of North Korea. 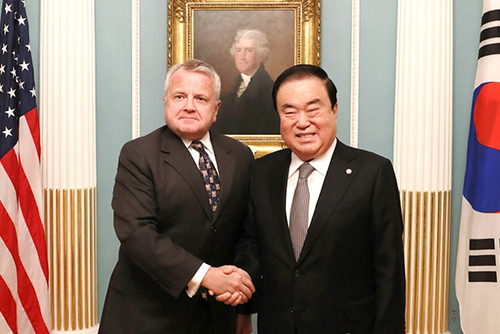 The U.S. State Department issued a statement on Monday that Moon and his delegation had met with Sullivan in Washington. 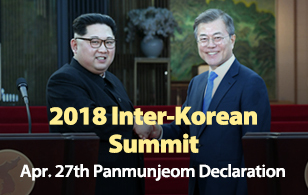 The statement also reaffirmed the ironclad alliance between the U.S. and South Korea and declared their commitment to ensuring the denuclearization of the Korean Peninsula. In addition, Sullivan and Moon affirmed their mission of strengthening trilateral cooperation with Japan, and to achieving shared goals in the Indo-Pacific region.